This pairing of a navy vertical striped double breasted blazer and a Torino Belts Leather Belt from Nordstrom is well-executed and yet it looks laid-back enough and apt for anything. 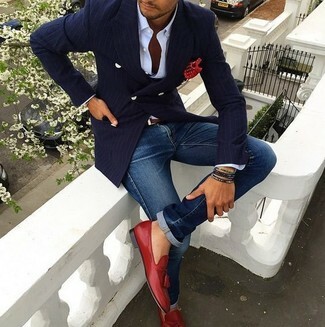 You can take a classic approach with shoes and complement your outfit with a pair of red leather tassel loafers. A light blue blazer and a Torino Belts Leather Belt are the kind of a foolproof casual ensemble that you need when you have no time to dress up. Up the cool of your outfit by finishing with a pair of tan leather oxford shoes. For something more on the off-duty end, test drive this combination of a black blazer and a brown leather belt. In the footwear department, go for something on the classier end of the spectrum and complete this ensemble with a pair of dark brown suede tassel loafers. 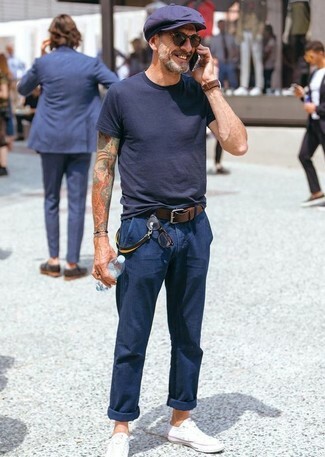 This getup with a navy blazer and a brown leather belt isn't super hard to create and is open to more creative experimentation. 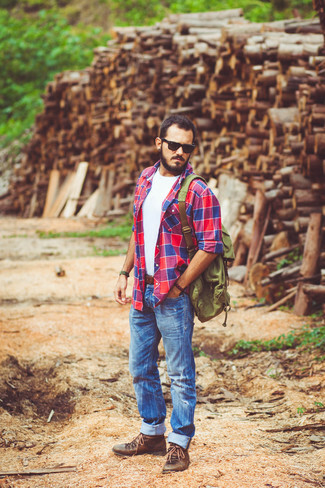 For extra style points, complete this ensemble with a pair of beige suede derby shoes. 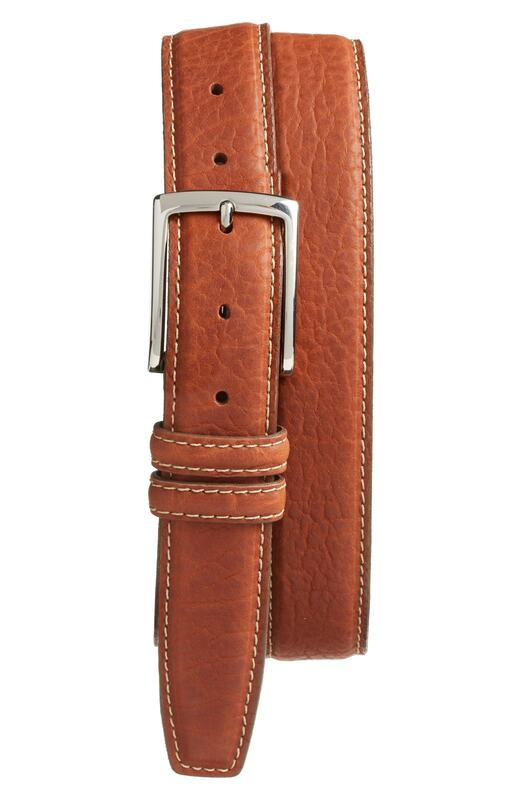 Why not opt for a black crew-neck t-shirt and a Torino Belts brown leather belt? These two pieces are totally functional and look nice when combined together. If you want to feel a bit more elegant now, complete this ensemble with white canvas low top sneakers. A red plaid long sleeve shirt and a Torino Belts Leather Belt make for the ultimate relaxed ensemble for today's gent. Complement your look with brown leather casual boots to completely spice up the ensemble. Pair a black v-neck sweater with a Torino Belts Leather Belt if you want to look casually dapper without much effort. 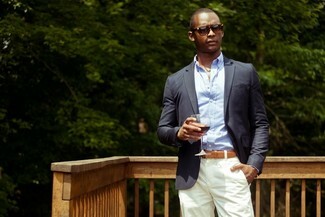 Try pairing a navy blazer with a brown leather belt for a stylish and urban ensemble. If you're all about being comfortable when it comes to figuring out an outfit, this combination of a grey blazer and a Torino Belts leather belt is just for you.